My imaginary pond store is the best around! If you send me lots of money, I will ship nothing to you with lots of air packing! If you're lucky, I may ship something broken! It's a good thing this store is fake! I could write 2000 letters worth here if I had time! 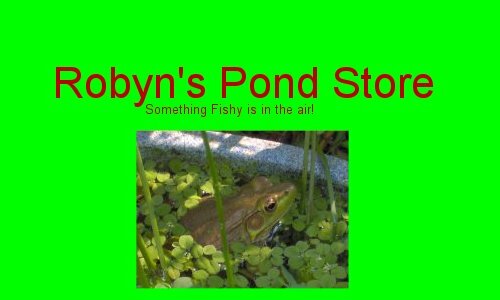 Click here for more information about Robyn's Pond Store!